New Holland PLM ISOBUS Product Control gives you the power to view your implement on your ISO-compliant display via a virtual terminal and control your implement’s necessary functions at the touch of a finger. 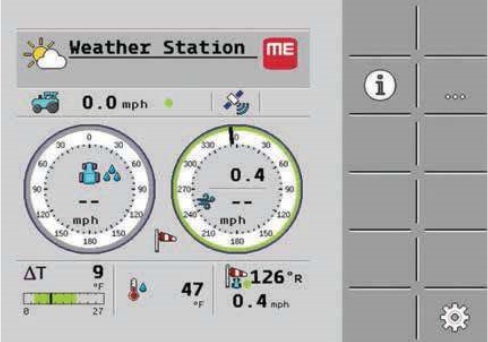 PLM ISOBUS Product Control is compatible with many ISO-enabled displays and supports a variety of field applications, making it a great solution for the mixed fleet grower. 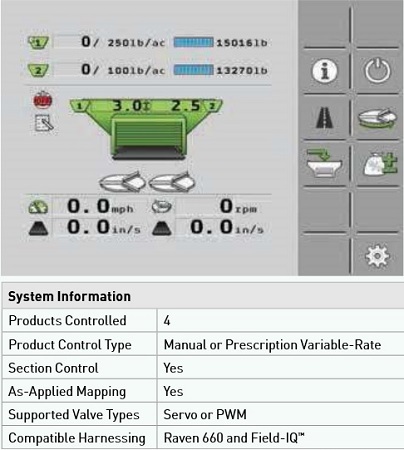 Whether you want to utilize variable-rate capabilities or control your rate manually, this intuitive interface has everything you need to accurately and easily manage your spreader application. Cover more ground with less fertilizer with the section control and variable-rate capabilities of the liquid fertilizer application system. 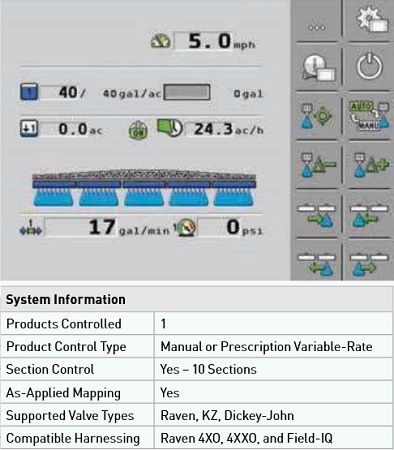 The Sprayer Application System provides a live view of your sprayer’s performance with up to 10 boom section control for manual or variable-rate application. 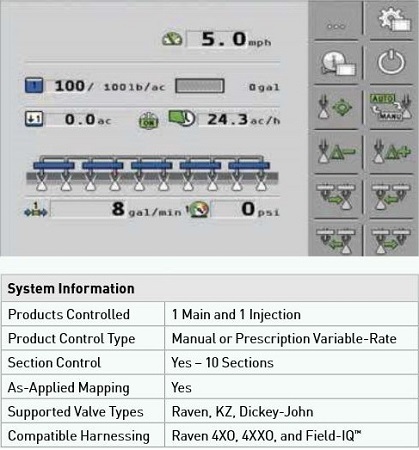 ISOBUS Slurry Application System gives you full control of your slurry tanker. 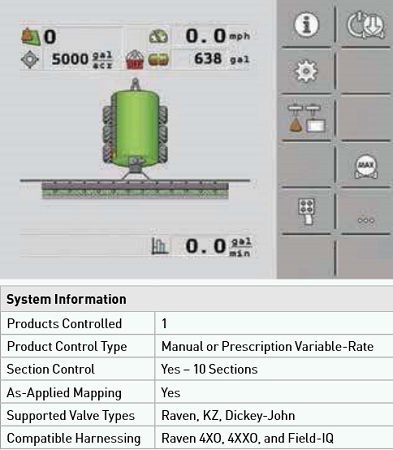 Whether you wish to use section control for two booms or 10, this application system has you covered. Be prepared for whatever mother nature has planned by monitoring live weather parameters from the comfort of your cab. The Weather System Kit is the first ISOBUS weather station on the market. It features a simple plug n’ play installation process and a maintenance-free design without moving parts for added reliability. Not only does this station give you weather readouts, it will also recommend the fertilizer droplet size given the current weather pattern. For more information about the New Holland PLM ISOBUS Product Control, call our Ag Technologies location (1268 E 100 S Rochester, IN 46975) at 574-223-2714.